I am thrilled to have been invited to be present at the 2018 Fusion Conference, held annually by the Ontario Clay and Glass Association. This year’s conference is in Waterloo, Ontario in conjunction with the Canadian Clay and Glass (CCGG) 25th year anniversary, and our concurrent exhibition in the Then, Now and Next exhibition at the CCGG. 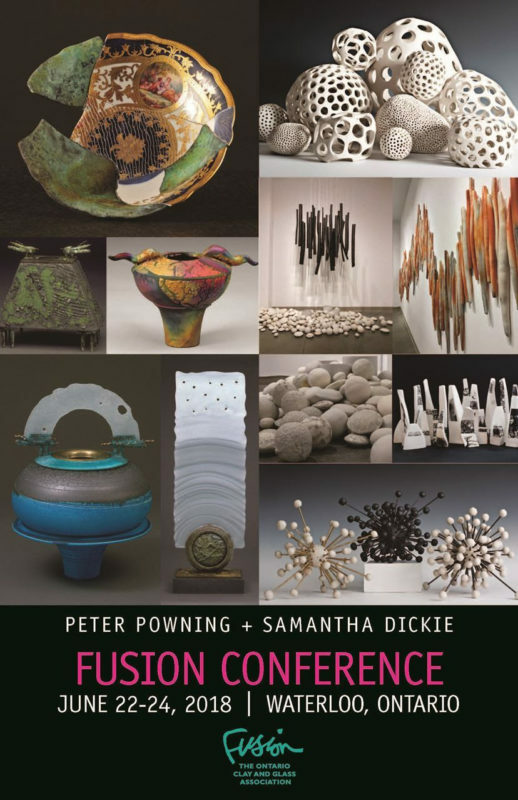 Artist Peter Powning and I will be on stage for 2 days of demonstrations, discussions, and slide lectures.